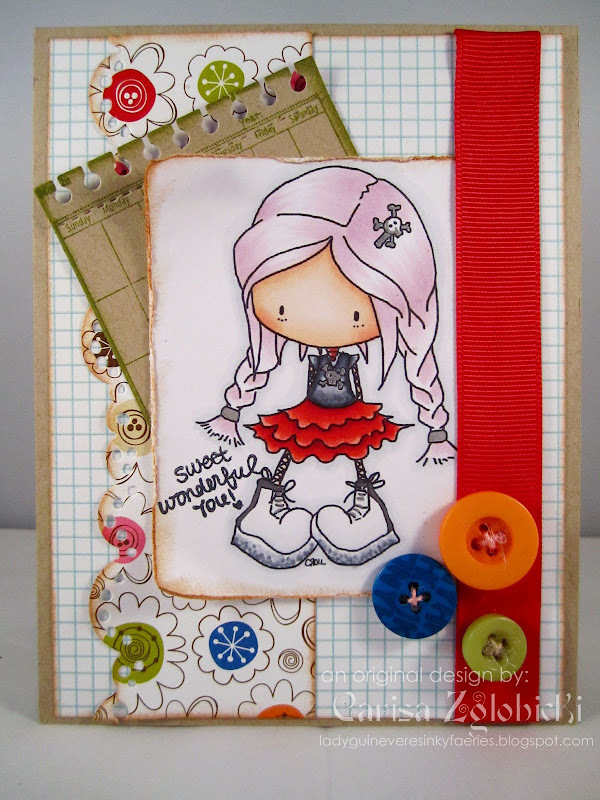 Inky Fairy Designs: Sweet Wonderful You! I also followed Jen's Deconstructed Sketch today - I love her sketches! What a darling card...such a cute image! What a cool card. Love the image.